A place that caters to students is never a bad thing, especially when it means high-quality food at prices that students can afford. 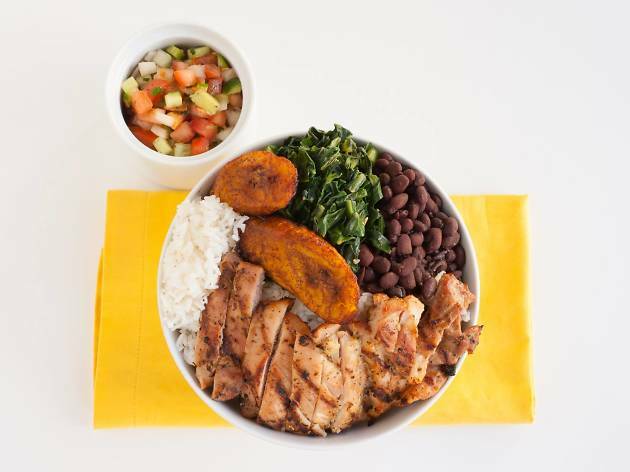 Mesa is right on point with the bowl trend, serving laid-back and unpretentious Brazilian rice bowls (nope, not Açaí) for under $10. 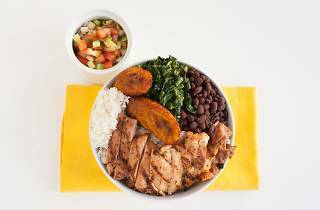 You can do steak, chicken, or “chick’n” (soy, wheat and peas) over rice with black beans, sauteed collard greens, fried plantains and salsa. Cheese bread is an obvious addition.